Discussion in 'Indian Army' started by ManuSankar, Jul 23, 2012. JAISALMER: For the BSF, the ship of the desert may "sink" and "shrink" too, provided the hi-tech mode it is planning turns out to be viable. In a bid to keep up with the times, the BSF plans to introduce sand scooters to keep vigil along the Pakistan border. In this series, trials of special scooters and special four-wheeler vehicles from the US, China and other countries are going on in Jaisalmer. These petrol vehicles are priced well above Rs 6 lakh. The trial will continue till the end of July and if these prove successful, the vehicles will be used along with the camels to man the difficult desert terrain. 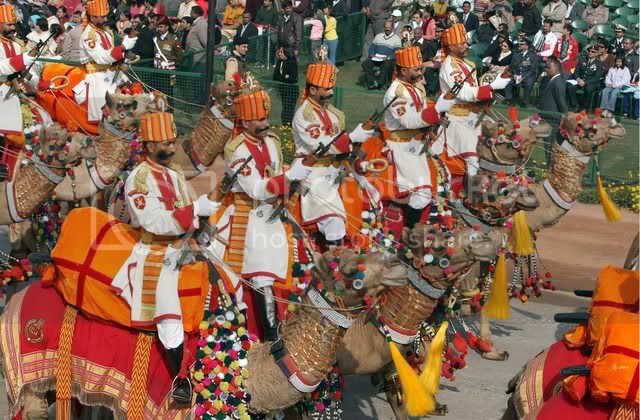 Though sources say that camels may not be withdrawn right away, the BSF is planning to reduce its camel fleet in the future as their upkeep is a major concern for the force. Buying quality animals, maintaining the same and their upkeep is quite a task. Sources said the trial of 500cc ATV scooter Nebula Jaguar of Chinese company Nebula Exports was conducted in the third week of May. Later, the trial of Polaris field vehicles was carried out during the last week of May. The vehicles that were tried include Ranger 800, Ranger RZR 4-800 and Sportman. Similarly, trial of vehicles belonging to Maini Group was held in June. BSF sources said a panel has been formed at the headquarters in New Delhi and a report will be sent to the HQ soon after the trial. BSF will also send a recommendation to the Centre to acquire the ATVs. Armed with ammunition and other equipment, jawans conducted trials in extreme heat conditions. How does a sand scooter look like? You mean the ATVs? those 4-wheeled desert crawlers? Miani Tomcat military ATV's.Israeli's uses this. wow thats gr8 stuff. I wud love to own one such thing. You should keep at least some camels. Yes, scooters may be faster. But camels are probably more reliable. I think they will retain some camels.At least for ceremonial purposes.After all Its a centuries old tradition.But Camels are likely to withdrawn from patrol duties soon.There are a lot of animal rights group accusing BSF of animal abuse. Dune buggies will be a good option. Depending on animals during crisis time is not good. Its base is too narrow as compared to height, i feel it might topple over,, thats all. are you kidding it looks like some sort of motorized any-terrain pram for military babies! Winds of change across the border Were felt When the second stage of trial scooter to man the borders started in the sand dunes of Jaisalmer . Last year, the first stage was Held.Besides camel, sand scooters aussi Will be utilised to man the border land. In a bid to Strengthen the security arrangement and aussi to chase smugglers, intruders along with border guarding, the Union home ministry HAD Planned To Provide all terrain vehicle (ATV), a four-wheel scooter foreign to the security forces. The second stage of trial Began recently.Compared to altho first phase the sand scooters beens That Brought by companies in the second stage Could not succeed in climbing the sand dunes. The trial continues for Will Reviews another 2-3 days.The report of the two trials Will Be feels to BSF headquarters. These sand scooters Will Be used along with camels. 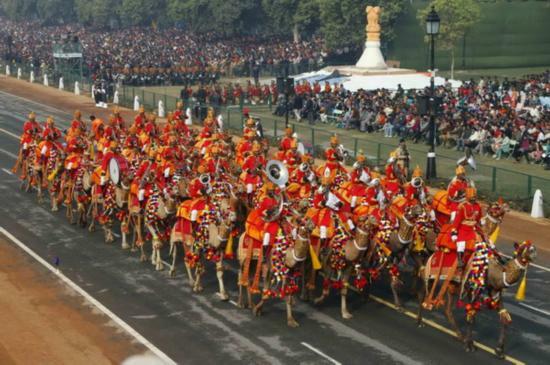 BSF Would Be slowly phasing out camels at the border areas. source said last year, Chinese company NEBULA EXPURTS ‘Nebula ATV Jaguar 500cc scooter trial was betweens Held May 17 and 19 last year. Later trial of American company Polaris field vehicles Took Place May betweens 21 and 23 in. All which store 800 store 4-800 RZR Ranger RZW SW and sportsman Were utilised. Later trials of M / s Auto IOI Took Place. In trials thesis sand scooter of Polaris was successful. Sources said this year in the second stage, various models of Maini Group from Bangalore was Held from May 12. The trials Were not successful. The vehicles got trapped in the sand and Could not climb smartly. Sources said a committee led by BSF DIG BS Rajpurohit has-been made ? ?by the BSF headquarters at Delhi for the trials of thesis ATVs, All which Would give icts report about the trials of the ATVs and based on the report, recommendation Would Be feels to the union government. Sources Said That Are Being Conducted trials thesis in intense heat conditions, and jawans are operating vehicles with the requisite arms and ammunition. our Defence Procurement Policy (DPP) and the fools at MoD. Shri Antony ji, aapke dimaag kaha ghoom raha hai?